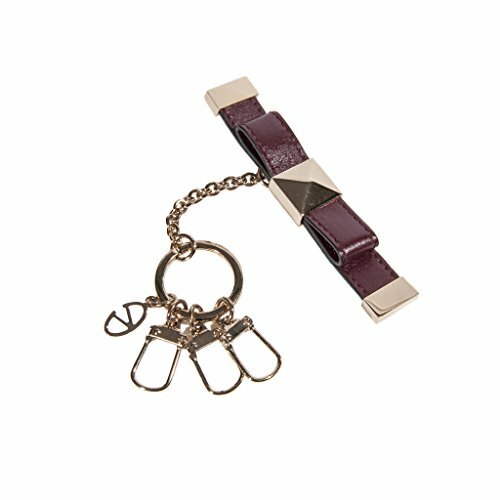 Product details: - leather pendant with metallic details - ring with three hooks - small metallic logo - made in Italy Color: brown Materials: leather, other materials Sizes: height (cm): 10 width (cm): 1 Sizes are approximate. If you have any questions about this product by Valentino, contact us by completing and submitting the form below. If you are looking for a specif part number, please include it with your message.